Looks pretty good, both poster and trailer. It clearly shows the writers understand the contemporary concept of 'defending freedom' isn't so simplistically black and white as most people (both now and in the Fourties) often consider it to be, especially in America where protecting liberty comes at the expense of liberty. Poor Cap is finally coming to terms with this revelation, something he didn't exactly have time for in The Avengers as he was too busy saving the planet from an alien invasion with his super buddies. But now he gets that much needed and anticipated reality check, which also forces him to find a new place for himself in American politics as the paragon of American virtue he has been shaped in. It's this aspect of Captain America, the analysis by American writers of what America stands for today relayed through this comic book character, that has always made him more interesting that most people would at first expect from a superhero who's dressed in a single nation's colours but is often shown to save the entire world, as if other nations couldn't do likewise. And hey, if you still don't like the Star-Spangled Avenger, there's still Black Widow (Scar-Jo!) to enjoy, as well as newcomer the Falcon (Anthony Mackie), who can still fly as in the comics, but apparently no longer communicates with birds (indeed, his real falcon sidekick seems to have been ixnayed, thus also saving some money on visual FX so more can be spend on crashing helicarriers). It seems he has upgraded to telepathic connections with humans instead (though this has not been overtly confirmed by the trailer). And last but not least, there's Samuel L. Jackson playing Nick Fury again, but apparently he's not as cheerful as before, and is turning a darker page of the character's history, keeping in line with his Ultimate Universe counterpart on whose likeness Mr. L. Jackson was based. Or was it the other way around? The villainous Crossbones also seems like a worthwhile addition to Marvel's current cinematic rogue gallery, but just what the deal is with that 'Winter Soldier' remains to be seen. Unless you're aware of his history from the comics, as I happen to be. Cap 2 seems an intriguing step away from the more lightheartedly toned predecessor in favour of adding some much needed depth, both emotional and political, to the character. At the same time there appears to be a plethora of action scenes and ample room for a good joke here and there. 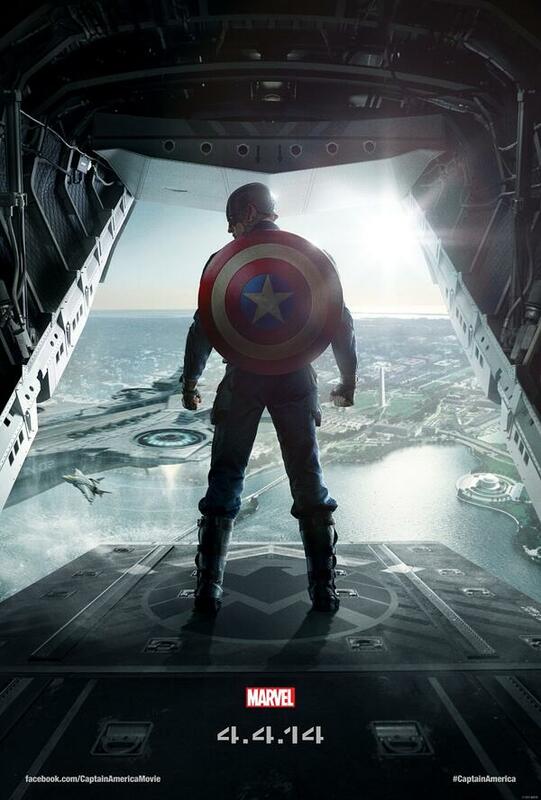 If the film is as good as the trailer, 'winter soldier is coming' doesn't seem like that sinister a mantra. But hey, if Iron Man 3 is any indication, it may still turn out that the Winter Soldier isn't actually a scary bad guy at all, but just a silly actor hired by a much less appealing and narratively convoluted evil character we couldn't care less about who messes up our respect of the heroic protagonist, after which his girl friend needs to save the day in her underwear. Let's hope IM3 was just a one-shot screw-up for now.